The formula entry field is a standard edit field. Tap on it to set the selection point, to move the cursor (but you also have arrow keys to do that) and for selecting, copying, and pasting. In addition, use the built-in keyboard or use the standard iOS keyboard that you get if you depress the “T” button in the top-right corner. Below are the keyboards accessed through the “const” and “func” buttons. When in one of these keyboards, simply press and hold on one button to get help. 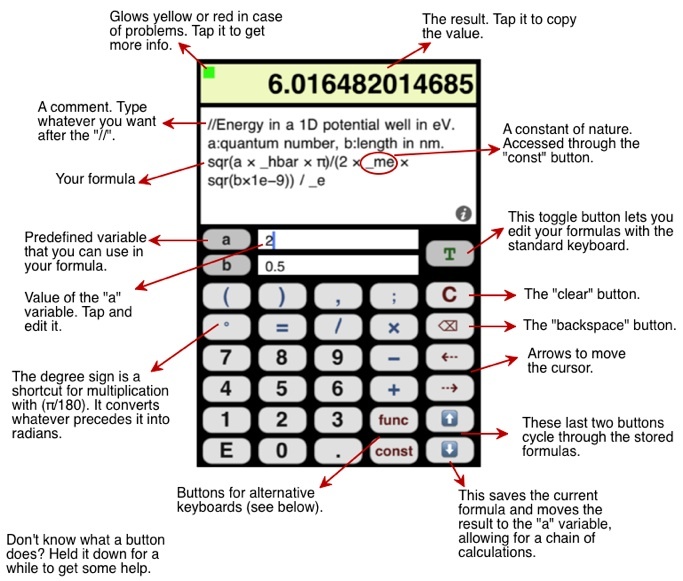 For functions, you will find out what the function does and how to use it. For constants, you will see what the constant is, what its value is, and you will be able to also copy its value so that you can use it anywhere else. 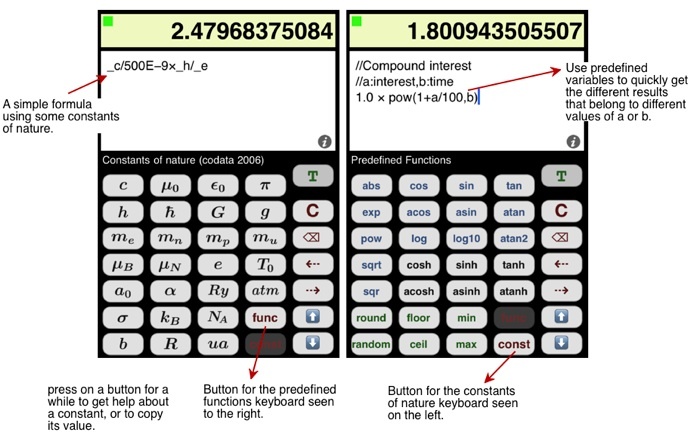 The built-in constants of nature are the official codata values.